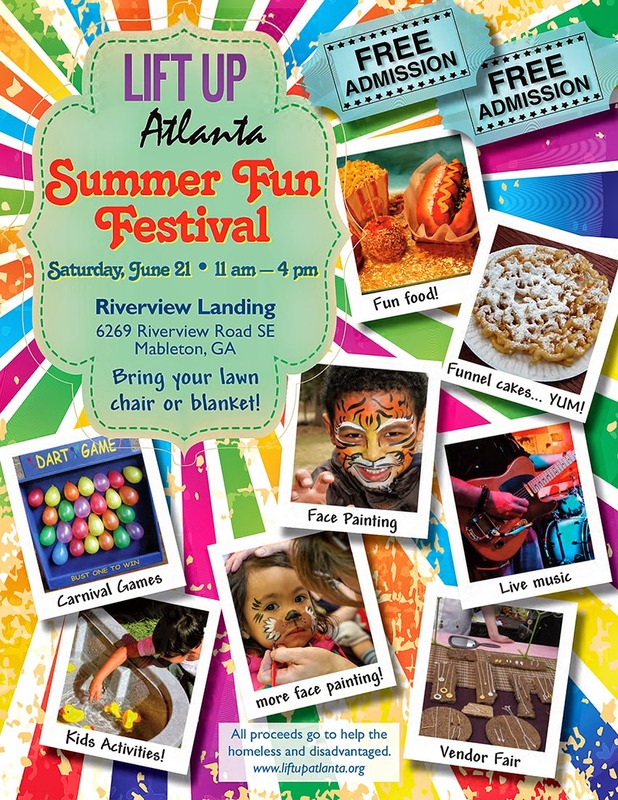 Lift Up Atlanta (www.liftupatlanta.org), a 501c3 nonprofit organization that helps the homeless and low income families in the metro Atlanta area is hosting a Summer Fun Festival on June 21, 2014 from 11am to 4pm in Mableton, GA.
Riverview Landing has donated 10 beautiful acres alongside the Chattahoochee River for this fun filled event. The festival will have live entertainment, carnival games, magic shows, a kid's fun zone with inflatables and games, vendor shopping, a silent auction and much more. The event will attract thousands to come relax and have fun. There is something for everyone!